This bright, contemporary cottage nestled in the environmentally-conscious, friendly, neighborhood of Raleigh Court features hardwood floors and tile throughout, high-efficiency mini-split ductless HVAC system, gourmet kitchen, spa bath, two cozy gas fireplaces, off-street parking for four cars, fenced yard, deck, patio with fire pit, high ceilings, 50-year recessed lighting, and original woodwork. 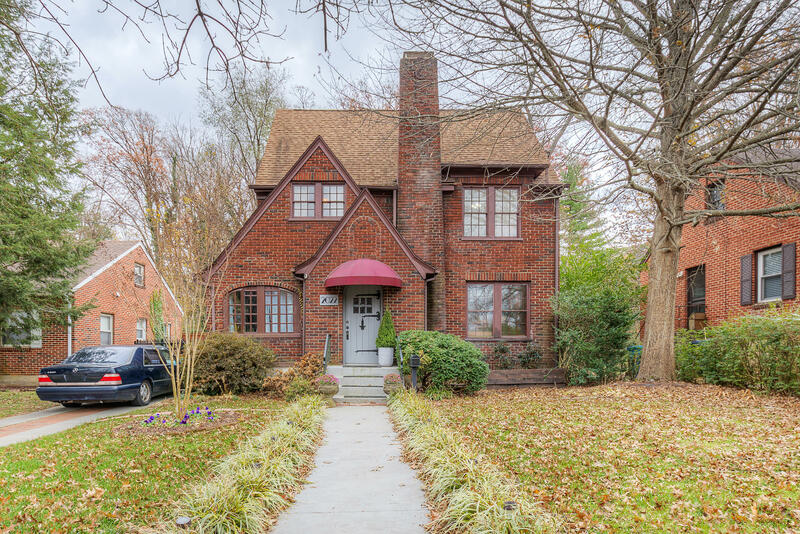 Significantly enlarged less than two years ago, this beautiful Tudor Revival home maintains its historic charm within an elegant, upscale living scape. The open floor plan of the great room, kitchen, and dining room, with French doors opening to a deck and patio with a fire pit create a home perfect for entertaining. A great house in its own private woods. Come home and relax by the fire!